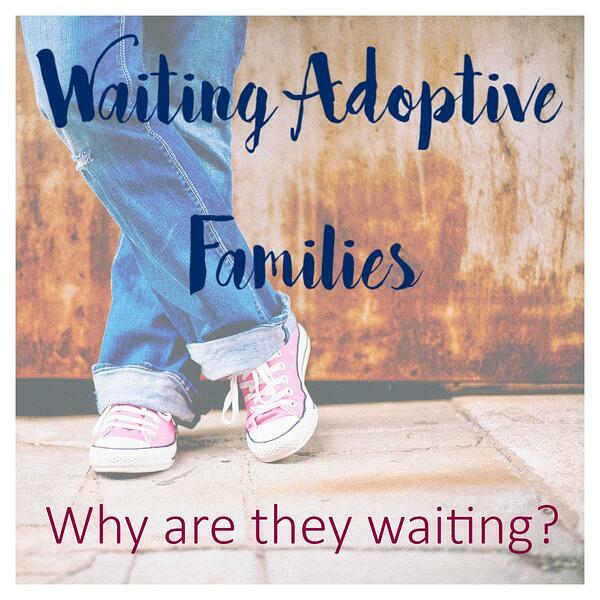 Waiting Adoptive Families- Why are they waiting? Families of all types are waiting to adopt. These families include couples without children, couples with children (both biological and adopted) and single parents who are all waiting to add children to their families through adoption. Some of these families are waiting for an international adoption processes to be completed, some are waiting for a good match through foster care and some are waiting to be chosen by a birth mother in the United States. Some will adopt a sibling group while others will adopt a single child. Some of these children will come from international orphanages, some will come from foster care, and some will come from a birth mother. Each parent and family has their own unique adoption plan and makes their own choices about where and how their child will join their family. A common thread through all of these situations is the dream and hope that they will one day share their hearts and home with a child. 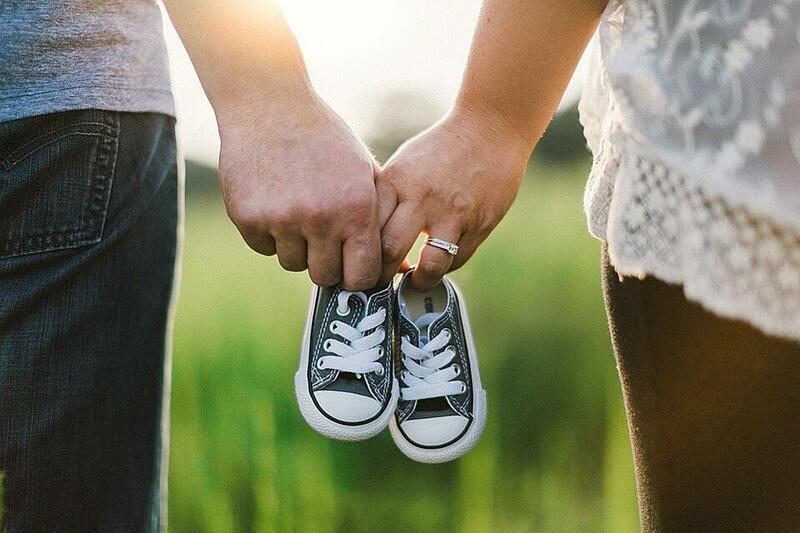 First birth parents must find families waiting to adopt through an authorized adoption agency (for example, Family Connections) or through a family friend, or through an internet listing. To view our agency's waiting adoptive families click here. Once presented with prospective adoptive parents, birth parents choose the adoptive family for their birth child. It is impossible to know what family the birth parent will connect with and decide to place their baby with. The "right fit" will happen for both the birth parent and adoptive parent. The family chosen by the birth parent then waits for the child to be born, which is when the birth parent's can make the decision to place the child for adoption. It is important to understand that until the child is born, the birth parent are just making an adoption plan. Only after the child is born can the birth parent make their decision regarding adoption or parenting. We have had families wait just a few days or weeks for placement, but the wait is usually much longer. Every family’s experience is unique and everyone's wait to adopt is different. Your adoption social worker searches and monitors the state-by-state photo listings of children available in the US who are currently in foster care and legally freed for adoption. When a child or sibling group is found that meets the families wishes and parenting capacities, your social worker will get in touch with the child's social worker or agency to find out more information. The families review each possible match on a case-by-case basis. The matching and adoption process is different in each state. Usually you will have a chance to meet and visit with the child(ren) before committing, and then the adoption process will begin. Contact us if you would like to find out more about foster care adoption- we would be happy to speak with you about foster care adoption! the country from which you are adopting. For example, currently the wait to adopt from Ukraine is under a year while the wait to adopt a typical child from China could be from six to eight years. the gender of the child you wish to adopt. The wait to adopt a boy is always less than the wait to adopt a girl; more international families wish to adopt girls and thus the longer wait. the age of the child you wish to adopt. The wait for an infant is longer than the wait for a preschooler which is longer than the wait for a school aged child, etc. the needs of the child you wish to adopt. The wait is longer for a child who has the potential for normal growth and development versus a child with special medical and/or developmental needs. In some countries (e.g. China) children with special medical and/or developmental needs are waiting for families and thus once a family is an approved adoptive parent they are asked to consider a child immediately for adoption. No matter if you are adopting domestically or internationally, the wait is always is difficult. Waiting families count the days until they can share their love with a child, and this waiting is often the most difficult part of the adoption journey. If you are pregnant and considering adoption as an option for your child, please contact Anita (anita@adoptfamilyconnections.org) at Family Connections, Inc. at 1-800-535-5556 to explore your adoption choices and to learn more about the agency's families waiting to adopt. If you live in New York State and wish to adopt a child, please contact Dan or Anita to learn about your domestic and international adoption options. We look forward to supporting your adoption plans. To learn more about adoption, please click below to ask us your adoption questions. Thank you!